All our rooms have traditional en-suite bathrooms and some have corner salons. Our rates all include a full Moroccan breakfast, bed linen and towels. The suite includes 2 rooms with en-suite bathroom, a private terrace, and can accommodate up to 4 people. You can click below and complete our simple booking form - we'll reply as soon as possible. Alternatively give us a call on +212 524 42 66 42 and we can discuss your booking over the phone. You can add an additional person to some rooms depending on their size - for example by making a double into a triple. 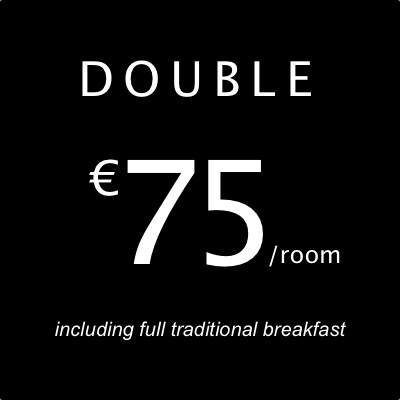 This adds 10 euros to the cost of the room and includes breakfast for all. We have a great team of drivers who can meet you at the airport or the train station 24 hours a day. Just include a note in your booking form or over the phone and we will arrange. For some bookings, we ask for a deposit in advance to secure your rooms. For everything else, we happily accept Visa, Visa Electron, Mastercard, Mastercard Electronic and Maestro payment cards.